Massachusetts-based video game developer Crate Entertainment was among the first to use Kickstarter in order to crowdfund Grim Dawn, in May 2012. 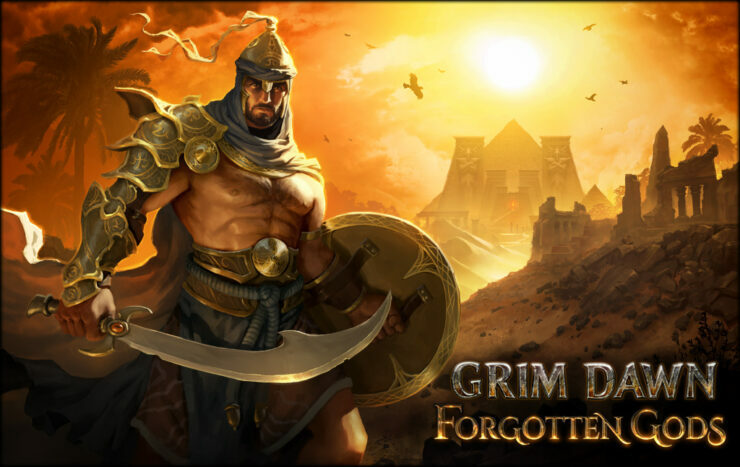 A spiritual successor to Titan Quest, Grim Dawn launched in February 2016 and enjoyed great reception both among gamers and the press; Kai reviewed it at the time and awarded the game an eight out of ten. Since then its player base has only grown thanks to the continuous support with free updates, DLCs and expansions. Forgotten Gods, for instance, is set to be available later this year on PC and it’s not the only thing keeping Crate Entertainment busy as Grim Dawn will finally debut on a console, specifically Microsoft’s Xbox One. We interviewed Game Designer Kamil Marczewski and talked about all this and more. Just below we’ve also embedded the latest developer livestream, focused on Forgotten Gods. Are there plans to continue supporting and updating Grim Dawn in 2019 (and possibly beyond) or would you rather start working on a sequel? We’ll definitely continue to support and update Grim Dawn into the future, but how big the updates are will really be dependent on sales. We are getting to a point though where we will probably have to think about a Grim Dawn 2 if we want to make any major changes. But that’s far too early to discuss! Will you ever add picking up components automatically? There are no plans at this time to add additional auto-pickup mechanics for Grim Dawn. Any plans on giving players more stash space? What about adding an in-game search? Forgotten Gods will add another personal/transfer stash page. A search would be pretty cool, but there are some complications with the UI tech that make this a non-trivial feature. Time will tell I suppose. What are the odds you’ll be able to overhaul the visuals of certain skills, such as Maiven’s Sphere? Improving old visuals where it makes sense is something we always keep on the back burner. However, changing stuff like that can be rough this far into a game’s lifecycle since you can end up disappointing fans of the old appearance. For example, during the beta for Grim Dawn, we gave the Occultist’s Hellhound a much-needed visual upgrade, but some players were upset that we removed the old version. So generally, we are careful about major visual overhauls of effects players are used to having. What do you think of Diablo 3’s Rifts mechanics as a way to increase longevity? Would that work in Grim Dawn? Sounds great, can you tell us a bit more about this new mode? The announcement post covers many of the gameplay elements. The Shattered Realm is an endless mode players can tackle to battle Grim Dawn’s enemies across all of its environments with an ever-increasing difficulty. Every time they defeat a boss level, players have the choice whether to keep pushing or grab the loot they’ve earned. In addition, a clock is ticking which, if beaten, earns additional treasure. The Shattered Realm features all of the same loot found in the rest of the game, but also the most powerful Rune Augments (which grant mobility skills such as Leap and Teleport) in the game and a unique armor set. Neither of these rewards is locked behind the clock, so players can earn them at their own pace. From a lore standpoint, without going into spoiler territory, the Shattered Realm was fabricated at the whims of a celestial being. It is now unstable and disintegrating due to the absence of its creator. Is there anything you can tell us about the story behind the upcoming Forgotten Gods expansion? The Forgotten Gods expansion is going to explore beyond the Erulan Empire, where Grim Dawn’s story has taken place so far, to elaborate on its extensive lore and vast world. You will interact with the Witch God cults and fight alongside them to vanquish a rising threat of a forgotten deity. It is an opportunity for us to touch upon many topics in Grim Dawn’s world that have up until now been in the background or secreted away for players to discover while they dealt with the Aetherials and Chthonians. How long do you expect this expansion will take players to complete? The average player will probably spend at least 10-15 hours clearing the main story content. Then there are the new faction reputations, new Nemesis boss, secrets to discover and of course the Shattered Realm game mode, so there is going to be quite a bit of content! As with Ashes of Malmouth, Forgotten Gods is turning out to be another huge addition to Grim Dawn. When do you plan to release the Forgotten Gods on PC? Will it be available at launch on Xbox One included with the base game? Forgotten Gods is currently slated for release later this year. We’ll announce a more concrete date as we near the end of development. We are discussing bundling all of the DLC with the base game for the console release, a complete edition of sorts, but more on that as we near the console release. Do you have an ETA for the release of Grim Dawn on Xbox One? We are working our way through the Xbox certification process which has a variety of requirements that must be met before it can be released. At this time, we do not have a release date or time-frame to announce other than it’s definitely coming! Why did you choose Microsoft’s console for Grim Dawn? Are there any chances to see it on other platforms such as PlayStation 4 or Nintendo Switch? A big part of it is that it’s easier to port from PC to the Xbox. It helped that Microsoft was very interested in the port and helped us get set up initially. Sony contacted us initially, but communication broke down so we prioritized the Xbox. Whether we do other console ports in the future remains to be seen, but for now, our focus is on the Xbox. Do you plan to develop dedicated Xbox One X enhancements and if so, could you share the details with us? What about crossplay between Xbox One and PC? We are not planning any enhancements specific to the Xbox One X at this time. Crossplay is not planned either as Grim Dawn is primarily a singleplayer experience. I will specify, though, since that is a common concern among players whenever a console port is announced, this does not mean we will make balance/gameplay changes on PC to favor the console version. If there is ever a point where we need to adjust monster spawns or anything like that to improve the console experience, such a change would be done independently of the PC version.